The Buhari New Media Centre (BNMC) is a social media hub that provides the highly desired platform for continuous conversation on the promise, purpose and policies of President Muhammadu Buhari’s administration. The BNMC seeks to revive and sustain the goodwill from the 2015 elections, and strengthen the relationship between President Buhari and his supporters that have been cultivated over a long period. The website is a hub of supporters of President Muhammadu Buhari. They propagate the successes and achievements of his administration on their various social media platforms. 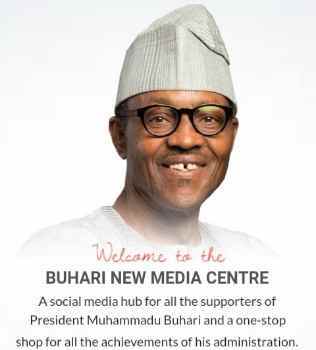 They are the Buhari New Media centre (BNMC), they also facilitate more understanding by proving access to information through interactive forums, interviews, live streaming, and organized briefs/pressers. To Join the Buhari New Media Center (BNMC) Community as a volunteer simply visit the website link below.